Recently my Grandma Barbara (my dad’s mom) passed away. After a full life on a ranch in southeastern Montana, raising 13 children, she was tired and missed her husband. My dad and his siblings were able to say farewell to her, and though I wasn’t able to be there, I feel certain that she knew I loved and respected her very much. One of the things that makes me sad at times like this is the idea that a part of my history is gone. 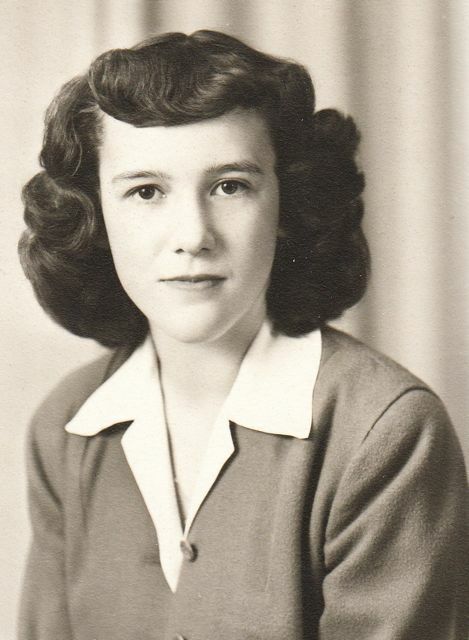 My grandma’s stories, thoughts, and ideas, other than those she shared, are gone. Perhaps it’s my pending motherhood talking here, but I’m gaining a deeper understanding of the importance of sharing our thoughts and stories with our loved ones. So here’s a little story about Grandma Barbara. Last summer, after 2 full months of traveling and visiting and sleeping in guest rooms and hotel beds, Corbet and I were exhausted. However, we somehow managed to pull together enough energy to make one last road trip before our return to Tunisia. We got up early and drove the two hours from Billings to Miles City, where Corbet officially became a Montana resident (he got his MT driver’s license…but, more importantly, he bought a couple of western snap shirts), and then we picked up my grandma to take her to lunch. When she asked what sort of lunch we were interested in, I told her we hadn’t had much Mexican cuisine since being back in the USA. She started giving us driving directions to a Mexican restaurant. She seemed to be taking us to a different part of town than the area where I remembered there being an authentic Mexican restaurant, but I held my tongue and let her guide us. After a few minutes, I remembered that there was a Taco Johns in the area we were heading to, at which I point I wondered if that was my grandma’s idea of Mexican. I continued to hold my tongue until we arrived at the authentic place I had originally been thinking of, which had relocated to a new part of town. At that point I shared my obviously unfounded concern with my grandma, who found the whole thing hilarious, and chastised me in her good-natured way: “Well, did you think I didn’t know what Mexican food was?” We had a wonderful lunch together, and in the course of our conversation, she learned I was still using an first generation Kindle. Shocked and outraged, she immediately wrote me a check for $100 and made me promise I’d go purchase a new Kindle right away. I did. Grandma Barbara was not someone you knowingly disobeyed. After lunch, we drove her back to her house. Unlike other occasions, when she would make it evident that she was ready for the visit to be over, this time she invited us to linger for awhile, showing us various things in her house and yard, and just chatting in general. Now that I look back on that day, I think she must have known somehow that it would be our last visit.